UPDATED 7/25/2016! - Remade the trait! The new version now makes the buff occasionally happen instead of always happening. And if they don't have the buff, their skin will still stay green, even if you didn't set their skin to be green. This new version will hopefully help with people experiencing lagging problems. UPDATED 7/5/2016! - Just updating the trait so it works with the current version of the game. PlantSims are back! Well, about as back as I can make them. Cool Kitchen Stuff added tons of Ice Cream and flavors, one of which could temporarily transform your sim into a PlantSim for 4 hours. 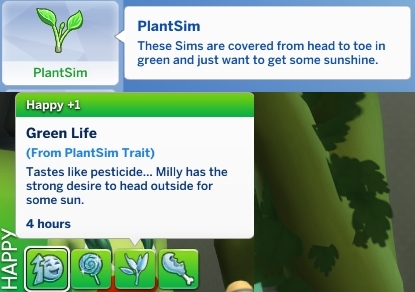 Well, with this trait you can turn your sim into a PlantSim forever by giving them the Green Life moodlet indefinitely. Meaning your sims will become green and occasionally grow leaves. Once the moodlet's 4 hours are up it will simply replace itself. In addition to keeping them in this state, the trait will also give sims some other perks. PlantSims will get whims related to Gardening, Swimming and if Outdoor Retreat is installed, they'll also get whims for Herbalism. PlantSims can also build Gardening and Herbalism skills much faster than normal sims. 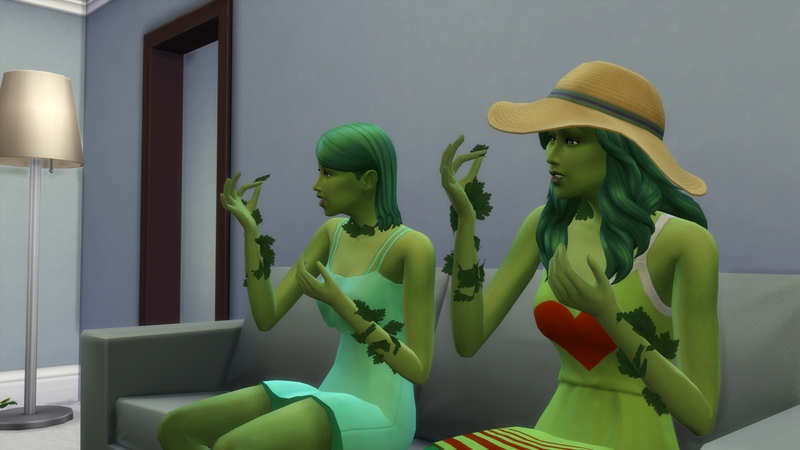 And because of them always having the Green Life moodlet, their default mood should be Happy. Townies are also able to randomly get this trait, so you may see one or two PlantSims walking around town. Do note that this will not change the Sim's hair color, you'll have to do that yourself. 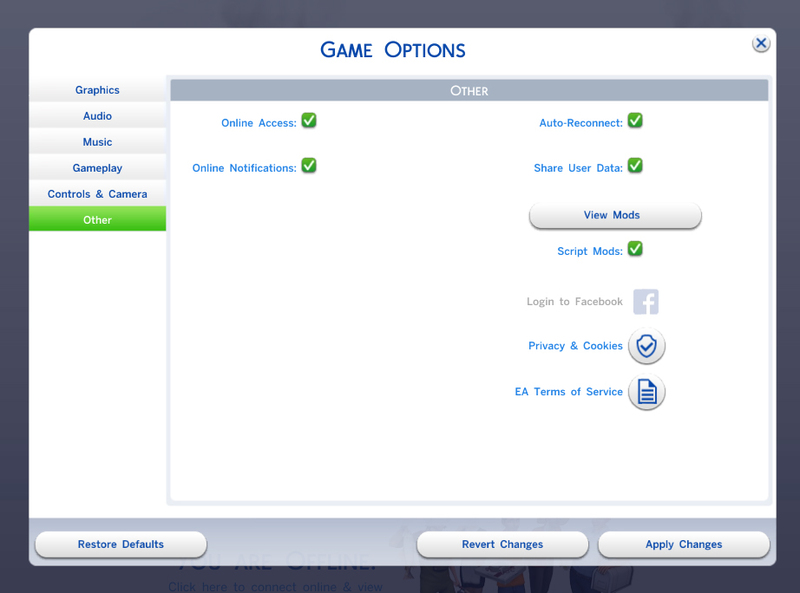 And do remember, removal of the trait will set a sim back to being normal sim. If you want even more realistic PlantSims, you could combine this trait with Esmeralda's PlantSim hair conversion.